Egyptian presidential hopeful Amr Moussa rejects the idea that Egypt will cancel the peace treaty it signed with Israel in 1979. Former Arab League Secretary-General and Egyptian presidential hopeful Amr Moussa has rejected the possibility that Egypt will cancel the peace treaty it signed with Israel in 1979. The extremist Muslim Brotherhood, which clinched the majority in recent parliamentary elections in Egypt, has threatened to cancel the peace treaty with Israel by putting the issue up for a referendum and letting Egyptians decide. U.S. State Department Victora Nuland later told reporters that the Muslim Brotherhood had assured Washington it would uphold extant diplomatic accords, including the peace treaty with Israel, but the Brotherhood’s Freedom and Justice Party denied this. The presidential candidate also addressed the issue of Egypt’s selling of natural gas to Israel, particularly in the wake of repeated attacks on the pipeline which delivers the gas. 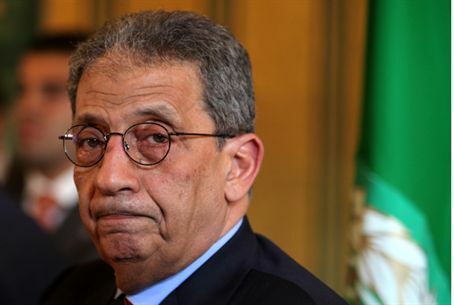 Moussa, who served as Egyptian Minister of Foreign Affairs between 1991 and 2001 and then as Arab League Secretary-General until 2011, is the most prominent Egyptian presidential candidate and is believed to be leading the race. A poll conducted in November 2011 by the Al-Ahram Center for Political and Strategic Studies showed Moussa winning 39 percent of the vote.